It's Official! Simon is at Lube Civitanova! It’s Official! Simon is at Lube Civitanova! Tweet It’s Official! Simon is at Lube Civitanova! While Sada Cruzeiro has stood by the fact that they held the rights to Robertlandy Simon, the Cuban middle blocker and opposite had expressed his desire to leave Brazil and return to Italy. Recall that Simon started his professional carrer outside of Cuba in Italy with Piacenza. While there for 2 seasons he reached the finals of the Italian Serie A1, won the Coppa Italia, and claimed the CEV Challenge Cup. With a daughter about to be born, Simon claimed that he wanted his daughter to be born in Europe and have Italian citizenship. Though Sada stood firm. They wanted 400,ooo USD to buy Simon out of his contract a year early. Lube Civitanova claimed they did not have that amount in their budget, and announced they had an agreement in place for Simon starting in the 2019-2020 season. While the matter seemed to put to rest, Simon simply left. He claimed that there were legal issues with his contract, said he had not received over 200,000 USD in salary yet, and left with his wife. He gave an interview to Bruno Voloch, a Brazilian journalist, stating that he was not going to stay in Brazil while in Brazil at the time. Sada Cruzeiro expected Simon to arrive to start preparations for the upcoming season on July 4th. He was not there. They alerted the FIVB of the situation and maintained that Simon was still under contract. It was reported that Lube was looking to appeal to the Cuban Federation and the FIVB in order to grant him a release from his current contract. Lube later released a statement that it was up to Simon to resolve the financial matters with Sada. 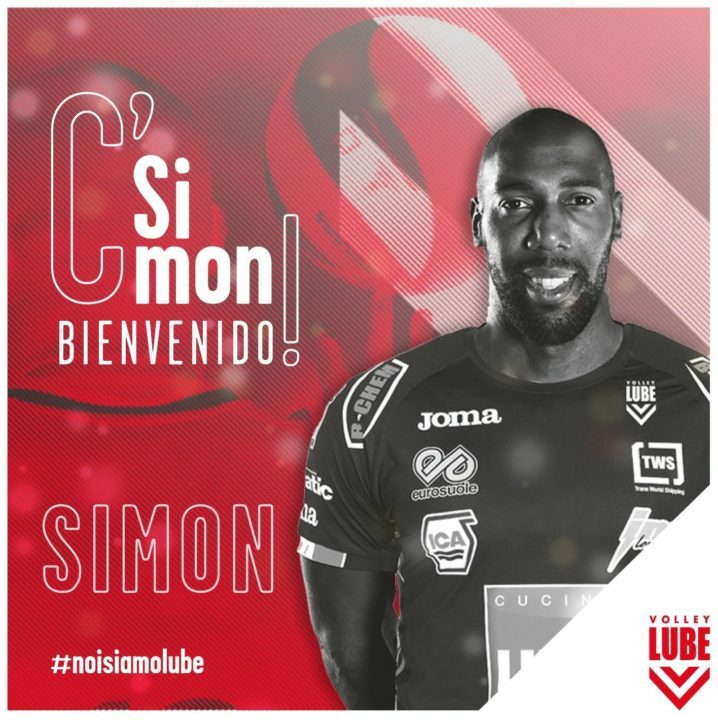 On July 17th, Osmany Juantorena released a video stating that Simon had just arrived from the United States, and he was going to be a key factor in helping Lube achieve success. While it seemed certain that the issue was close to being resolved, there was not official word yet from the club. On July 18th, Lube announced that it was official. They had secured the services for Robertlandy Simon for the upcoming season. They did not disclose what took place in order to resolve the issue of the contract with Sada Cruzeiro, but they presented him as a player for Lube. Simon is expected to play opposite for Lube during the beginning of the season while Tsvetan Sokolov recovers from a knee surgery back on June 4th. Once Sokolov returns he will play opposite of Dragan Stanovic in the Champions League. In the Italian SupeLega they will have to alternate he and Stankovic, as they already have the maximum amount of foreign players in their lineup. Recall they had this same issue with Taylor Sander last season. Hopefully the details will emerge about what transpired to make this a reality.